Summary: Difference Between Virus and Worm is that computer virus is a potentially damaging computer program that affects, or infects, a computer negatively by altering the way the computer works without the user’s knowledge or permission. While a worm is a program that copies itself repeatedly, for example in memory or on a network, using up resources and possibly shutting down the computer or network. A computer virus is a potentially damaging computer program that affects, or infects, a computer negatively by altering the way the computer works without the user’s knowledge or permission. 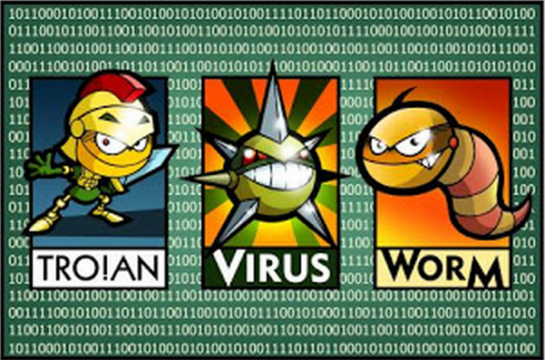 Once the virus infects the computer, it can spread throughout and may damage files and system software, including the operating system. It is actually a piece of code that can activate its desirable action without user’s permission. Viruses can also replicate themselves. A simple type of virus can create hundreds of copies of itself and is very easy to produce. But still virus is simple or not, it can harm your computer. The most dangerous types of virus is that which can be transferred automatically across the networks and can harm the whole network.